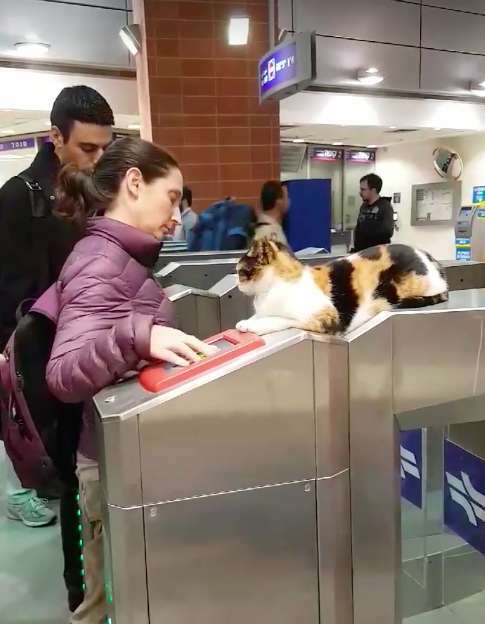 Meet Shawarma: a stray cat who spends her days greeting commuters at a train station. Shawarma lives in Petah Tikva, a city close to Tel Aviv, Israel. 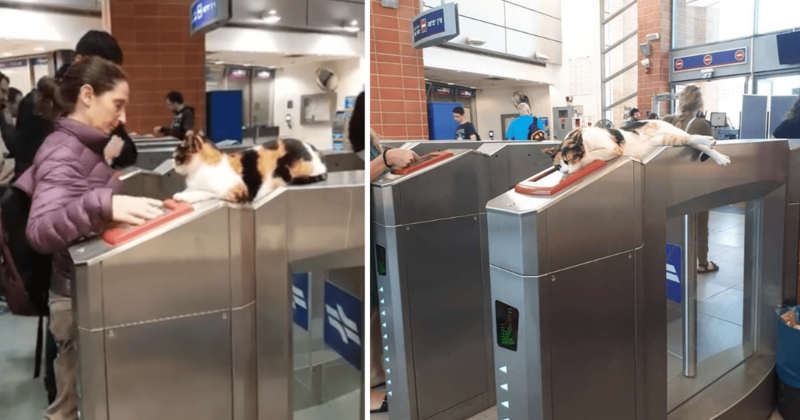 Shawarma spends most of her time at the train station, and she loves sitting on the turnstile, greeting commuters as they go about their day. 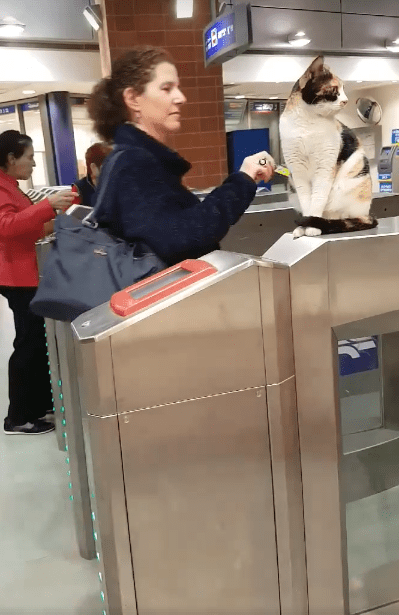 All the commuters know about Shawarma—the cat has been a fixture in the train station for months. One local, Dan Kashani, decided he wanted to take video of the cat and share her with the internet. Dan took a two-minute video of Shawarma sitting on the turnstile. The video quickly received over five million views. 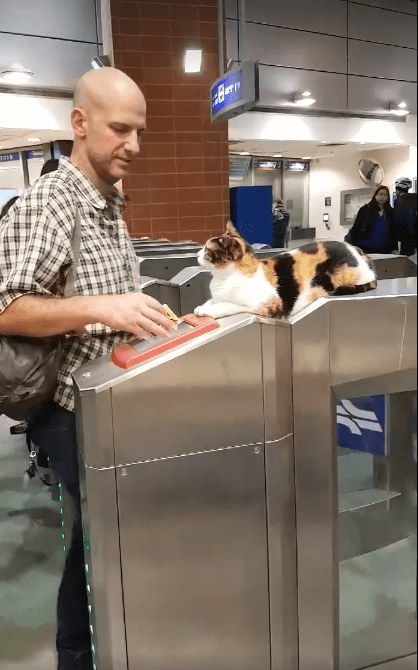 The video shows a series of commuters going through the turnstile while Shawarma watches. A few of the commuters say hello to Shawarma, but most simply go through the turnstile without stopping to say hello. Nobody looks surprised to see the cat there—everyone is used to her presence. There were tons of Facebook comments about the fact that so few people stopped to pet Shawarma. 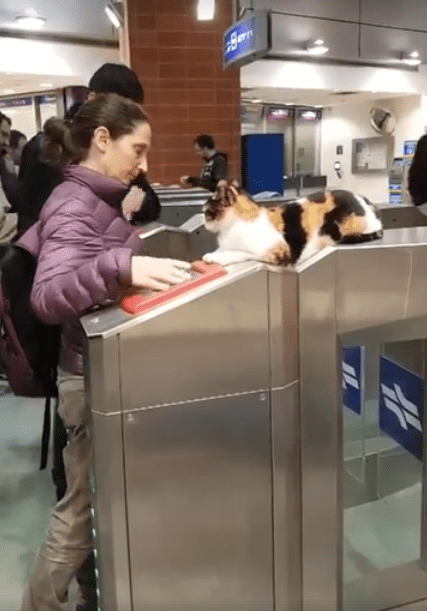 People couldn’t understand how the commuters could resist petting the adorable cat. “Pet the damn cat you animals!” one commenter wrote. Dan explained there is a reason that most people don’t pet the cat—she’s famously unpredictable. After the video went viral, the mayor of Petah Tikva reached out to Dan and said he would like to meet Shawarma. Dan introduced the mayor to Shawarma, and the mayor gave the cat a toy and some food. The cat ate the food, and then she let the mayor pet her! Dan was also interviewed on a local news station about Shawarma. Everyone loves the cute cat! Shawarma is an adorable cat who has found a great place to spend her days! 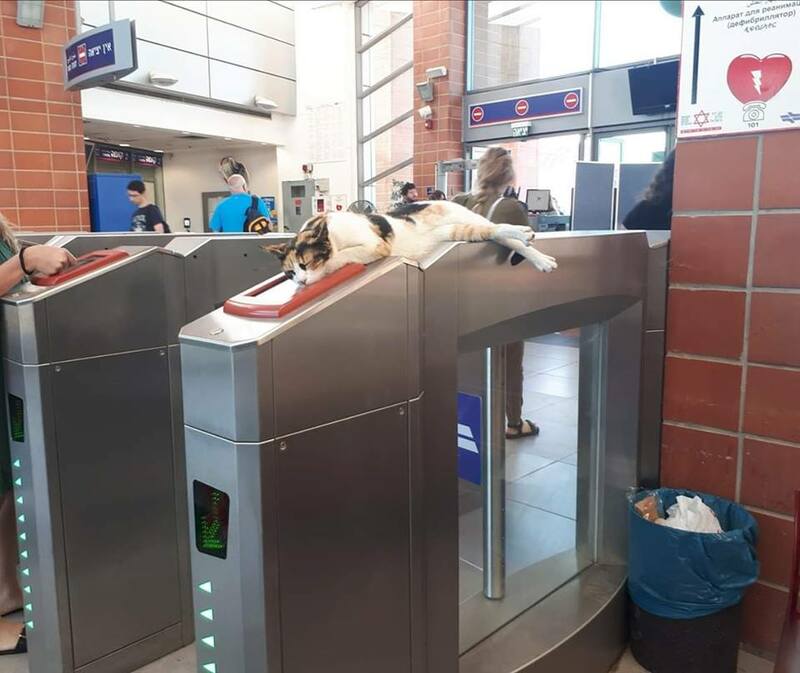 Now that Shawarma has gone viral, we’re sure more people will start visiting her at her turnstile.